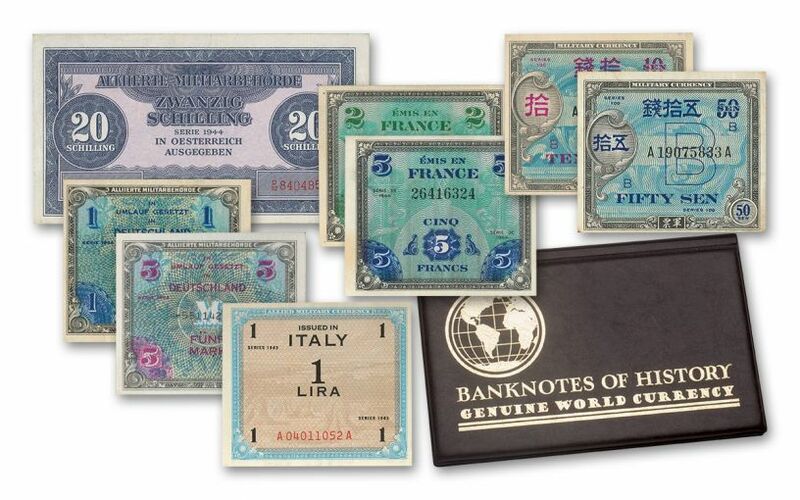 Out of the Pockets of the Greatest Generation and Into Your Collection! 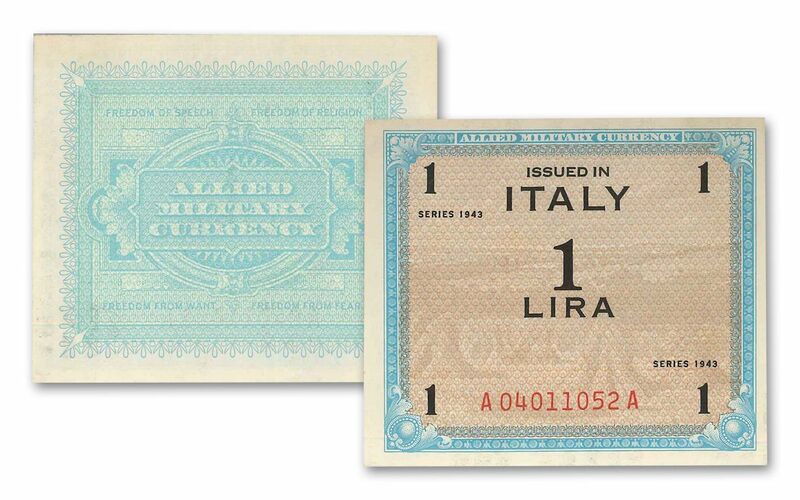 Imagine holding actual Allied Military notes in your hand that may have been used by your father, grandfather or other brave American soldiers during World War II! 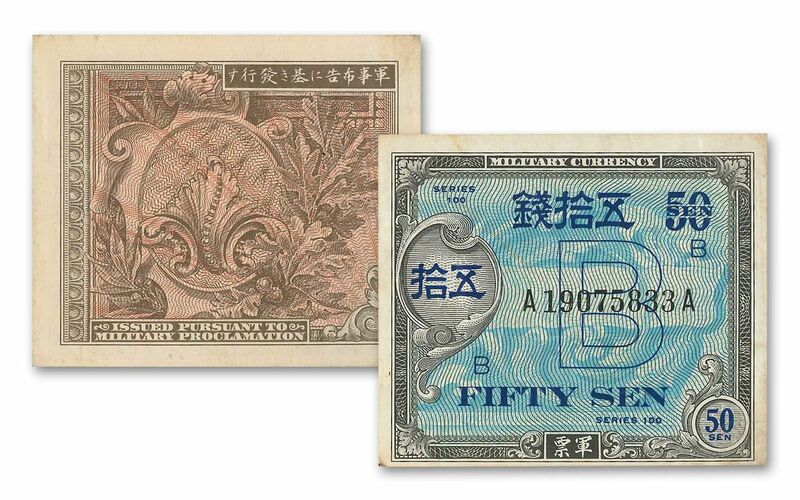 During and immediately after the Second World War, the Allied powers led by the United States, France, Great Britain, China and the Soviet Union issued special military currency for Allied troops to use in liberated or newly occupied countries. 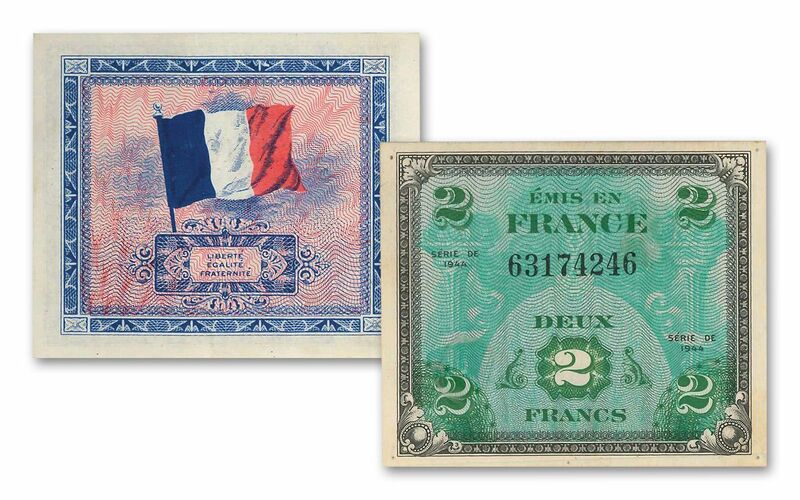 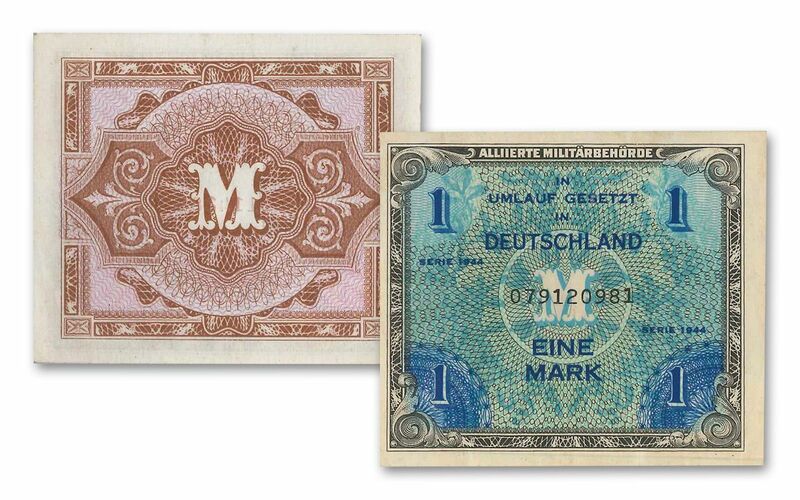 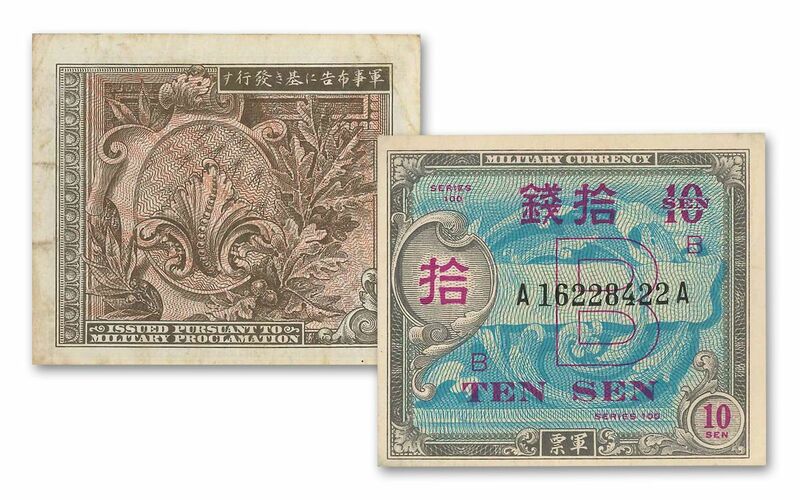 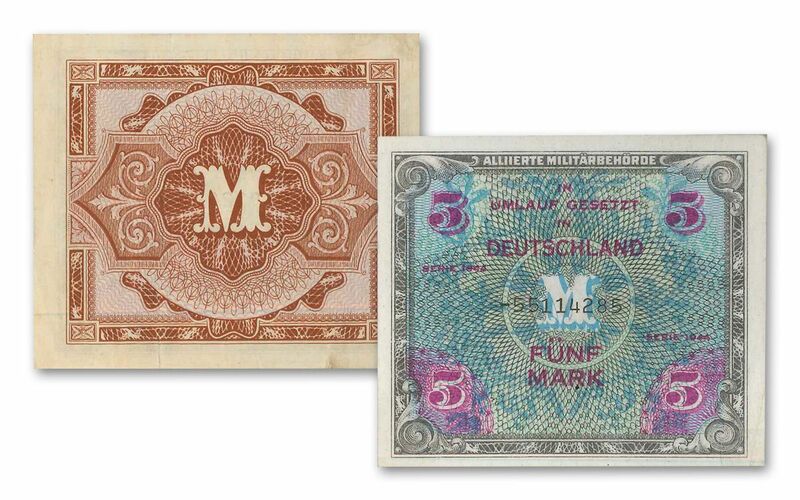 This eight-piece collection consists of paper currency that circulated in France, Germany, Italy, Japan and Austria. 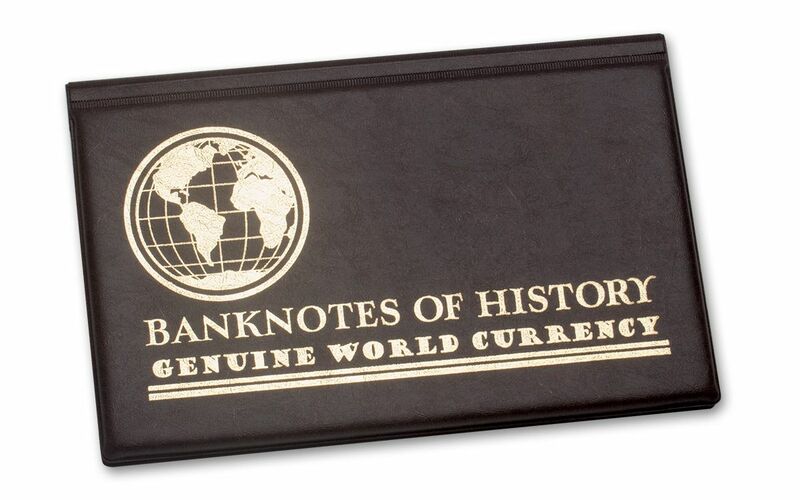 Each note is in circulated condition and is housed in a portfolio folder that includes a storycard and certificate of authenticity. 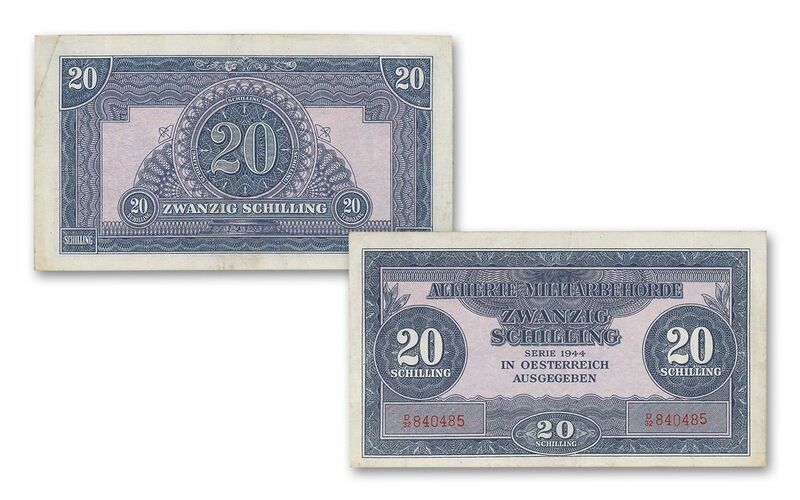 Add this piece of history to your collection today!